When It Comes to Business Surveys, Some Entrepreneurs Just Got It Wrong! Just how vital are business surveys towards achieving a successful business? As a struggling individual in the business venture Munnee seems quite inquisitive as always.. Roaming through the streets of his neighbourhood, he finds this longtime friend Peter. 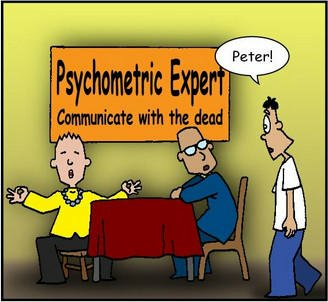 He simply wants to know why Peter is seeking advice about his Funeral business from a psychometric expert. Hmmm, he is completely puzzled! Many a times when business owners are starting out, they will want to get as many customers as possible. In fact they dig way too deep in their pockets to lure their customers into purchasing their product or buying whatever service they have to offer. At this juncture they do everything right and honestly, with such input the customers will swam their offices/restaurants/shops like bees. But the funny thing is that some only do little or nothing to keep them. Emergence of new companies in the same niche. No further marketing to get new customers. Lack of proper customer service. General fall in quality of services… and so on and so forth. One major aspect that business managers tend to forget, is the Value of a returning customer! Why would a customer return to buy from you? Simple…a returning customer is a satisfied one. We humans are really complicated creatures truth be told, we are hard to please! Hate it or love it that is the truth. Now how is it possible to please a customer? Again I would say it is simple! All you got to do is to keep up with the trend and above all find out what your customer likes. The customer’s taste and preference is vital. Once you know that, you then have the upper hand. Meaning you can supply exactly according to the customer’s needs at the right time. You will not dive into the market head first. This is also a recommended business tool (market research). Gone are the days where only the big corporate companies are the only ones that could afford having Surveys done year in year out. Nowadays the need for every business (small and big established businesses) to conduct surveys is unquestionably high. The process of acquiring all this information according to the client’s demographic statistics is done through what we call a Survey. Regardless of the size of the business, surveys play a vital role in ensuring that you have the right information about your customers. Many companies spend lots on advertising and marketing, branding yet they tend to have little or no knowledge about their clients. These are really common mistakes that usually come around bite you in future. A survey is a data collection procedure that is used to get information about certain individuals. Whether affiliated to an entity or not a survey may focus on factual information about individuals, or it might aim to collect the opinions of the survey takers. Now unless you desire to have a stunted business (which is most unlikely going to happen), you would look at having surveys included in your yearly business outline. Surveys can be conducted via email, snail mail, or phone, and usually target customers or potential customers. It can be as easy as asking a simple question whenever you meet your customers. The four steps to making a survey are: identify your audience, write the survey, conduct the survey, and analyse the data collected. 1. Strengthening the customer relationships. How do you relate to the customers? Is there anything you can do to improve it? Are there opportunities for you to expand your services/product? 2. Discovery of brand new services or products. Any chance you’ll be providing more to your customers? Conduct a business survey targeting your next line of products and services. This will give you an insight of what exactly people want. 3. Gauge your marketing efforts. Improve your PR and marketing with a marketing survey and see if your efforts are right on target or are missing the mark. 4. Analyse and record customer opinions. Your customers are very often the best audience to give you information on how your company is doing. Give them a voice with a customer satisfaction survey and hear what they have to say. 5. Surveys can also be in house for employees. This engages the passionate employees in a successful workplace. This allows you to easily assess your employees as well. 6. After meetings, training, and events, you definitely need to know what people think. let them have their say via the surveys, that way they will tell you if it was interesting or not, bad idea or not. This is considered a way to get feedback from customers. 7. Have a little fun. Casual Fridays? A day at the water park? Going out camping? A field trip to the zoo? Give your employees something fun to discuss – and improve morale – when you offer a fun survey geared toward fun at work. Some entrepreneurs missed the very first step of starting a business – doing a survey! By first surveying the market to ensure that your product is something sought after, you’ll have much higher success rate. Some business even sell their product before it is even available. When there is someone out there actually buying it, you can be sure that there will be more customers awaiting you.